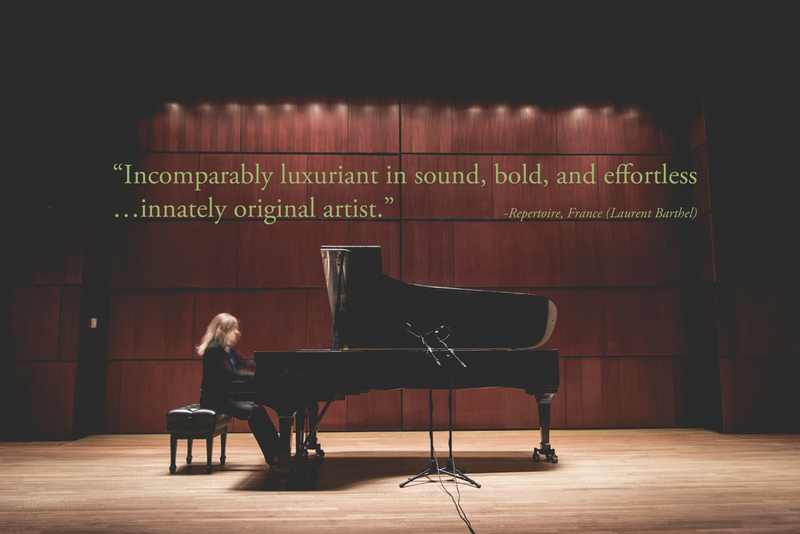 Pianist Francine Kay has performed as soloist with orchestras worldwide, and like the other musicians in Sunday’s concert, is a member of the performance faculty at Princeton University. A very unassuming soloist, Kay opened the fourth movement excerpt from Life and Dreams with a sense of urgency, with a good command over the quirky cadence endings which kept the audience slightly off balance. This movement reflected a bit of emotional chaos, with feathery passages breaking up the power which Kay drew from the piano. Kay also performed the reflective closing movement to the work, taking her time with the distinctive melodies and musical effects reflecting the movement’s dedication “to the forgotten graves in the corner of the Kˇrekovice cemetery” — Suk’s own final resting place. Just the other day, I was teaching a lesson and making a comparison between a piano sonata and a work of 18th-century opera, wanting to illustrate the character differences in the sonata’s melodic phrases – one higher in register, questioning sweetly, the lower register answering with confidence and ardour. In the lesson, I stopped myself from reflexively describing the higher, sweet voice as the feminine character in the opera, and the lower voice as her manly suitor – images which are completely accurate for opera of that era. I did not feel comfortable using these gender associations, however relevant they may have been for classical opera, without first contextualizing the history of gender stereotypes in opera, theatre, literature, and the society of the time for the student. This was not ever an issue that was discussed when I was a student. Music could be routinely characterised as masculine or feminine without questioning what that might mean or where the labels came from. I remember a case at Juilliard in which someone, by way of complimenting her playing, told a woman that she 'played like a man'. Since the music that I love, study, perform, and teach is European classical concert music, largely from the 17th to the 20th centuries, patriarchy, and the oppression of women, is sadly part of the historical context. The beacon of light is that music itself transcends all boundaries and labels. Music’s domain is that of the universal, the compassionate, the free spirit, and the genderless soul. This is the message and the mission to which I have dedicated myself. I feel that it is still important to bring the issue of the historical tragic silencing and prejudicial treatment of women in the arts and in all fields of endeavour into the light, for all to see, examine, mourn, and take responsibility for. Women composers such as Maria Ana (Nannerl) Mozart, Fanny Mendelssohn, and countless others were forbidden to be artists. They were threatened, scorned, and trapped. We must re-member this and give this tragedy its due reflection and sorrow. Even in the 20th century, women have been banned from playing in certain orchestras. The Vienna Philharmonic did not accept female musicians to permanent membership until 1997. The head of the Paris Conservatoire, Bruno Mantovani, declared in 2013 that conducting could be too 'physically demanding' for a woman. Thankfully, enormous strides have been made. Women for the most part no longer face as many horrible injustices, and are freely taking their places as composers, conductors, pianists, orchestral musicians, in spite of the challenges. However, I feel that this is not enough. It is not enough to be satisfied with this gradual shift to justice. We must question, and ask, from where do these injustices stem? Where do gender stereotypes come from, and how are they still marketed to us? How do they inhabit our subconscious minds, our myths, our fairytales, our operas, our fears, our perceptions, our publicity photos and concert advertisements? Indoctrination can be subtle. I am very excited by what I see happening now with much more attention being paid to gender issues, and freedoms. I am excited to be playing a trio by Clara Schumann in an upcoming performance. And I am thrilled that my students are coming to these issues with a different perspective than I – one that does not have the narrowly defined gender notions that I grew up with. I would like to ask: please keep on questioning, keep on seeking. This is not over. Please also remember that many people came before us, people who suffered, who were denied, and it is because of them that we can keep moving forward. And finally – yes, Music is the answer.